Discussion in 'Sim Racing Hardware' started by GTPNewsWire, Aug 23, 2018. This article was published by Michael Leary (@Terronium-12) on August 23rd, 2018 in the Hardware category. Nice try Huang, but no. Only one thing to do, >>> waiting for benchmarks. One thing for sure - in game photographers will be much more now. NV has no competition,they can ask what they want and people will still buy it just because its new tech alone.If benches fail to impress me,i will wait for for 7nm refresh,which is inevitable. I dunno if overclocking might solve that or if something else played a part but it is still a new feature and it'll probably be improved in the next generation of GPUs. Skip to 3:02 for the gameplay footage. Dopplegagger and super_gt like this. These cards seem to be a big disappointment at various sites. I'm interested to see the tech for myself, but I'm not in a hurry to get new gear. Maybe I will stumble across a demo, so I can expierence it. Ray Tracing? Nope, not interested. New graphics card? Yep, interested. 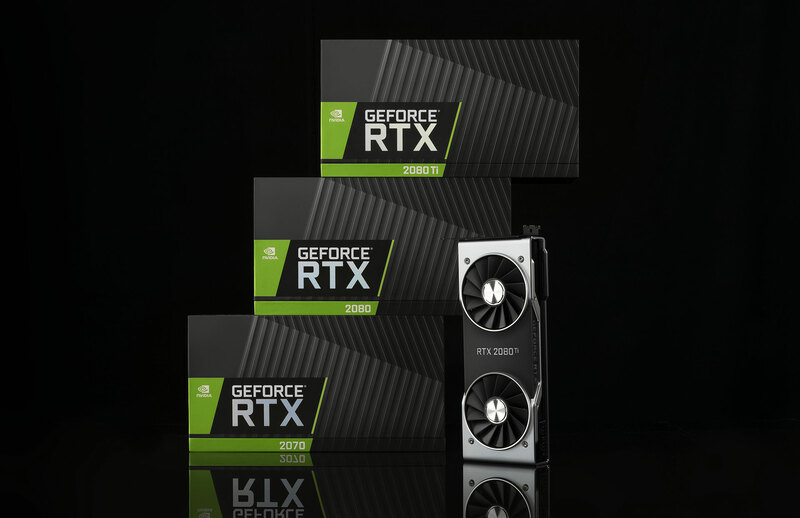 But this new card has to be much, much faster than my GTX970 and capable of playing AC - and ACC and wreckfest - with full eye candy turned on and a all the AI on track, on a triple monitor. The GTX1080Ti is still only around €200 cheaper than the new RTX 2080Ti. This is something of a hot topic and I wouldn't worry to much about it. There are no official benchmarks yet and the drivers (and the games themselves) aren't optimized. Not the best showing, sure, but I'd wait until next month to see where things really stand. The goal is for HW ray tracing to have a lower performance cost than SSAO and the likes thereof, so we'll see. Read the first comment from Ben Hinman. I hope the world eats them up like skittles and continues to drive the price down on the 1080ti. I'll stay a few years behind the founders edition and look for deals. Meh. The performance isn't impressive. This card can't hit 60fps at 1080p resolution with the raytracing reflections their pushing and the ti version is only 13tf. Nvidia really should've waited for 7nm. This card is not worth buying imo. I wonder if it would be really stupid to upgrade to a 2080ti considering I just got a 1080ti a few months ago. How worth it is "ray tracing" and even without that, how much improvement will there be under normal circumstances. I am waiting on ASUS's 144hz 4k Gsync monitor. If the 2080ti can power that monitor as good as my 1080ti can power my 1440p monitor, then I might consider it. Do you really asking that? Never, never, never buy first gen tech. And 10k for a graphics card is highway robbery. It's not even built on 7nm lithography. Besides before there's any benchmark i consider this a techdemo card, nothing else. That is something that I can relate to. The "high" resolution and high frame rate requirements of VR could be the compelling reason to get the 2080 cards. But until we see some benchmarks in relevant racing titles in VR, I'm skeptic. Sure it probably going to be faster than last gen card but not in fps/dollar if the graphs from Nvidia is true. That's not progress, that's Nvidia getting a fatter wallet. I'm going to wait to see how my GTX970 performs with ACC. After that, wait for benchmarks and reviews and only then decide if the new RTX2000 series is worth it to replace the GTX970. Even without benchmarks I can tell you it's worth replacing the 970 in favor of a 20x0. I guess you are right. But it is not a cheap card and sources on the internet talk about the release of a 7nm card 18 months from now. It depends. 970 still hold decent fps in most games at 1080p resolution. Vega 7nm will arrive next spring, afaik.